This blog is to help people answer that question themselves when it comes to 2 of Panama’s AMAZING archipelagos, the San Blas Islands in the Caribbean and the Pearl Islands in the Pacific. Remember, Panama is a ‘developing’ nation and with that comes a developing tourism industry and recently there have been some developments that changed how we visit these amazing islands. A few years ago you HAD to fly to the San Blas and now there is a road, 4×4 only, and your tours there are approved by the Kuna (now Guna) Indians. So, that means you have options! The flights are still available and they depart ~6am from Panama City and they return ~6:45am from the islands and only take about 30 minutes (and rarely are on time returning to the city). As you can imagine, flying costs more and the places the flights go are the more expensive lodges with BETTER SERVICE! Going for a night starts at $300+pp and goes up depending on the lodge and season. Add ~$100pppn (based on double occupancy). This will include good food, real tours/guides and a nice ‘cabana’ on or over the water. You may want to save some $ and check out the ‘backpacker’ version of this trip.. well, be prepared. I am the owner of a tour company and one of the most reliable companies we sent our clients with was 1 hour late picking ME up when they wanted to show me what a great job they do. The drivers are just transport and its not really part of the ‘tour’, so they generally don’t care about your comfort or how long you might have been waiting (starting at 5am). Regardless, your going to what many people consider paradise! 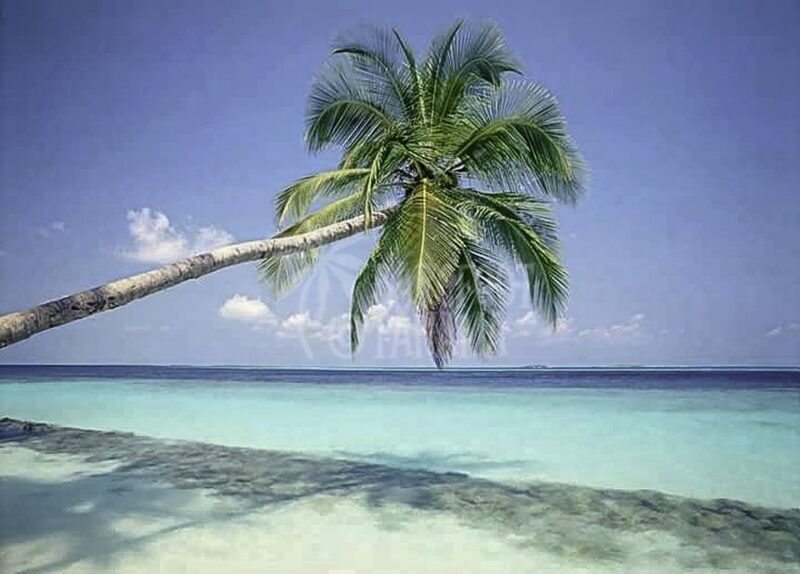 365 islands, covered in palm trees in the Caribbean, amazing! Enjoy it, embrace it.. and don’t complain about the BASIC food your going to eat, its what you paid for, remember. A lot of people think when a tour is said to include snorkeling, that it should include snorkeling.. well, these amazing people do not think the same way. On my trip, there was no equipment and on some, well 1 mask should do for the group, right? IT IS WHAT YOU PAID FOR.. the experience (and it is also why we make it very clear this is NOT a BarefootPanama Tour! Diving is illegal..
Now, there is also another option. Visit the island via Catamaran! This is priced in middle. You still drive to get there and that saves $ but then your tour is run by a reliable guide on a nice boat. Want to spend more time? GREAT! Stay as long as you want and add between $30 and $100 depending on if you’re in a tent or BASIC cabin or you want to sleep on the Catamaran. Is this trip for you? ONLY YOU KNOW. Personally, I want to live there forever and think its incredible, but I lived in a hammock for 3 months in Mexico and slept on the roof of a van for 11 YEARS while traveling the Americas! What happens if it rains.. ya get wet or you sit under cover for as long as it rains, bring a book and enjoy this incredible part of the world. Until recently these islands were almost limited to the Panamanian elite. You had your own boat or plane or you took the 15-minute flight if you could afford it and the hotel (which most Panamanians could not). Along came a ferry and then another and now you can get there for under $100pp. There are options for restaurants and hotels, not a lot, but SOME is better than none. You can still fly to the islands as well making it easy to pick and choose when and how you want to get there and how long you want to stay. . These islands are amazing, historic (Spanish and the pearling industry), convenient (fly/ferry everyday) and recently seen on T.V. (Survivor). Abundant marine life (including whales from June – October) fills the sea. The snorkeling/diving is very good and it feels like the Caribbean because of the way the ‘waves’ lap the white sand beaches. BarefootPanama can help package something for you, but again, its not a tour and if your hotel’s a/c or T.V. doesn’t work or the pool is not full, remember, your in a DEVELOPING NATION. FREEDOM, that’s a big difference between the 2 destinations. If you want to go back in time, go to the San Blas. If you want to rent a golf cart so you don’t have to walk to the beach, pick The Pearls. Do you like to have a menu (Pearls) or take what they caught today and serve you (San Blas). What do I recommend? GO TO BOTH! They are some of the nicest islands in the world. Nice blogpost! I have been travelling the San Blas and Pearl Islands a couple of times now and can definitely suggest the San Blas to anyone that searches the perfect tropical getaway! In San Blas you will find peace with the Kuna’s and can enjoy multiple small islands and the warm crystal clear waters of the Caribbean. I personally didn’t like the Kuna food since it wasn’t that special, but the lobsters and red snappers are good! Traveling in the San Blas can be hard since you can only get there by boat and plane. The Pearls are probably more for the laidback hotel/resort going person. You can find peace and tranquility on the empty beaches of one of the Pearl Islands but still there are more tourists in some places. The tourist industry is much more developed here! My first choice is probably the San Blas for adventure and the Pearls for relaxing. Two of the great wonders here in Panama and yes they both will rock your world in one way or another. Go Pearl Islands !!! Has anyone taken the ferry to the Pearl Islands or the boat rides to San Blas? I want to very much but I’m very prone to motion sickness. Have you heard if people that suffer motion sickness tend to get sick on the rides to these islands? Is one better than the other in terms of avoiding seasickness? We will be in Panama in January/February. Thanks! Hello Kristin, Both the ferry and the boat to San Blas could potentially pose a problem if you are prone to motion sickness and in either case I would advise looking into motion sickness tablets. On the other hand the two trips are quite unique and therefor one might be better (or worse) than the other, and will be entirely dependant on the weather conditions at the time of travel. The Pear Islands journey in general is a longer journey in boat (just shy of two hrs) and in more open water. The San Blas boat trip is in a smaller open boat, but it is usually only 0.5-1hr in duration through typically calmer waters. There is however a horrendous 2.5hr drive ahead of the boat trip along a windy mountain road, where you will almost certainly feel ill.
For a little extra cash, both San Blas and the Pearl Islands offer flights where you can avoid it all! There are winds from the north from January to April and so that means wind-waves at on a boat trip to either place, but it’s probably worse on the Caribbeean side due to the longer fetch. Waves created by the local wind are very close together and cause the front of the boat to slap up and down. We run charters to both of these places at different times of the year. They are both amazing. Of course you’ve already made your trip by now but this answer is equally valid any year. How long is the trip to the hotel from the boat ride to pearl islands ? Great blog, we have visited the Pearl Islands and had a blast, looking forward to our San Blas Trip soon. I stumbled across this site looking for additional tours in Panama but hopefully you can answer some questions about San Blas islands. My fiance and I arrive Jan 16th at 8am to Tocumen Airport. I want to rent a 4×4 and drive myself to Carti at SanBlas. Not sure how quick I can make it and it looks like several of the tour boats leave between 9:30-10am. I want to do a day tour- maybe stay the night if the feeling is right…little hut on the water or stay on a catermaran. Im finding it difficult to book online. I would love to talk to someone who could tell me where to book or if I can just wing it and see what happens. I apreciate your very opportune and realistic informations about Panama beaches best choices. We also fix difficult problems that others may not be able to repair. Pickup and return service of your equipment. Servicing of all your office machines, printers, fax, scanner, routers, switches, access points, servers etc. Try us now! We work fast and efficient!